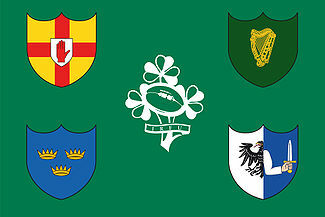 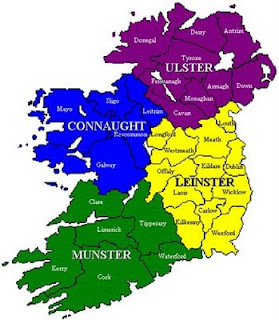 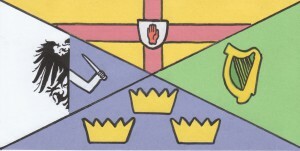 That’s the logo of the team in the middle, and the shields of the four traditional provinces of Ireland surrounding it: clockwise from top left, they are Ulster, Leinster, Connaught, and Munster. 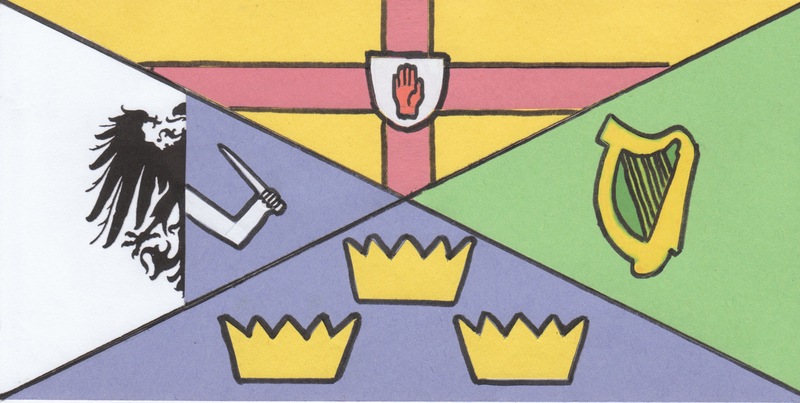 This entry was posted in Controversies, Design, Ireland, Religion, Symbolism by jgood. Bookmark the permalink.